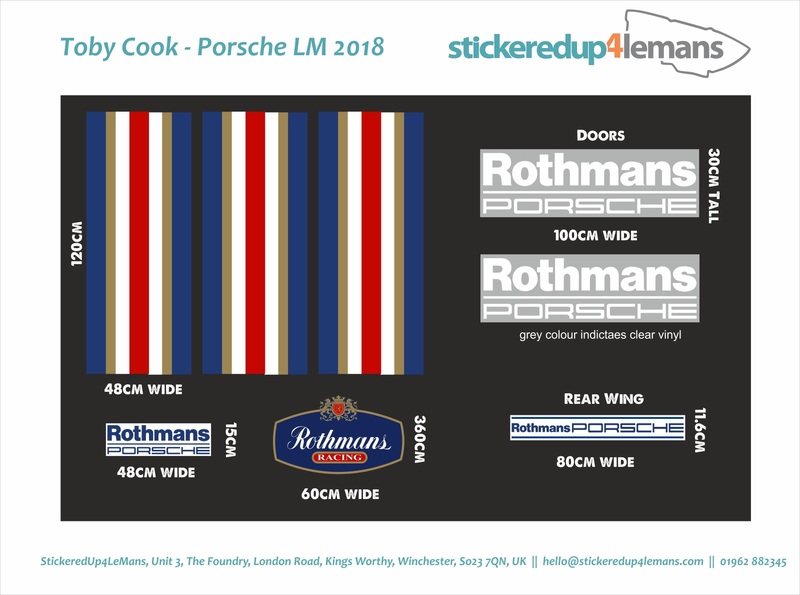 My first step was to speak with Dan at stickeredup4lemans.com . He explained that for obviuos reasons there is no "off the shelf" kit for this design, but that he could make one. He and I exchanged numerous emails and finally a custom set of stickers as shown here was delivered. 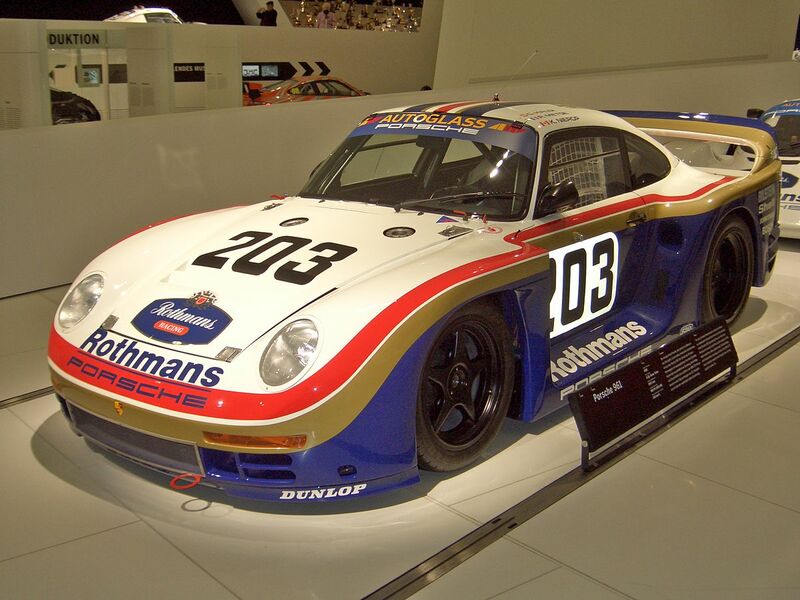 The width of the main stripe was chosen to fit the bonnet louvre. ...I couldn't. £20 of wrap down the drain. Ho hum. 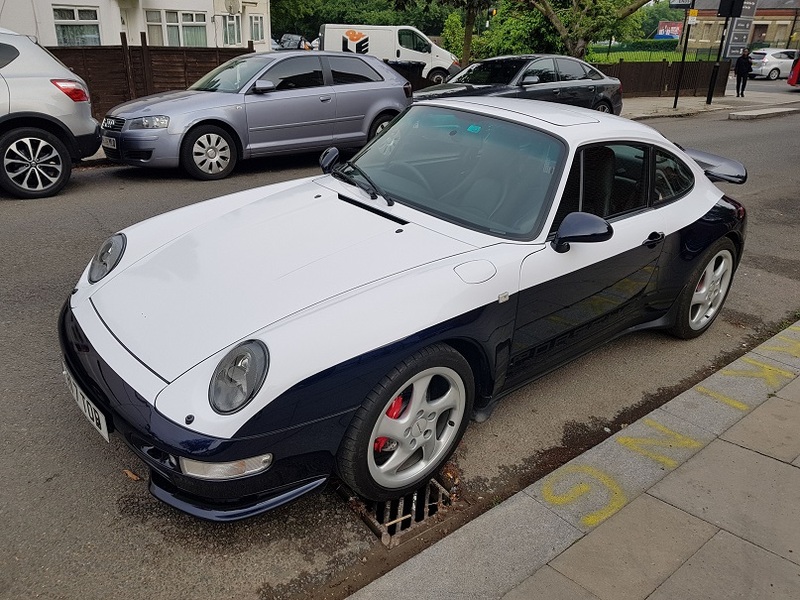 So I called Adrian at Skinwrap.co.uk and two days later, low and behold, a half white car! Next up is the fun bit. 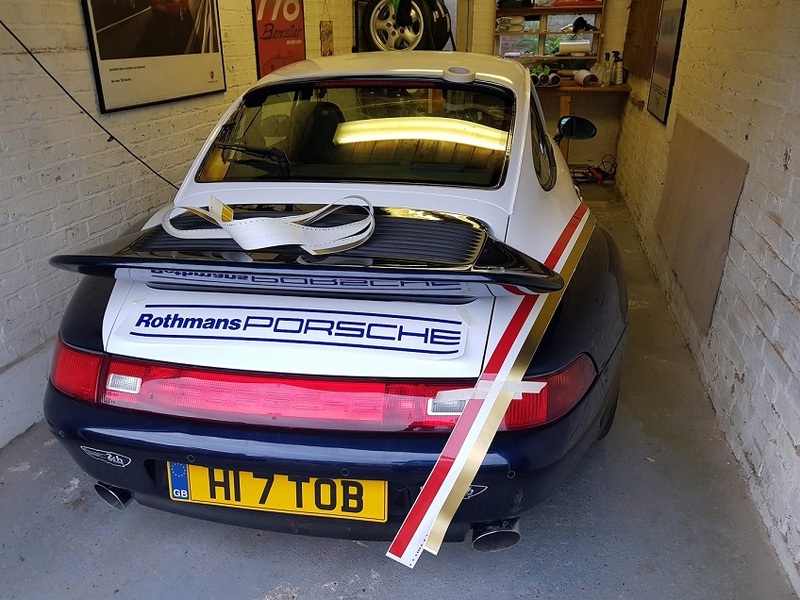 As well as the custom decals above, Dan also provided me with miles of matching stripes in Red, gold and white. 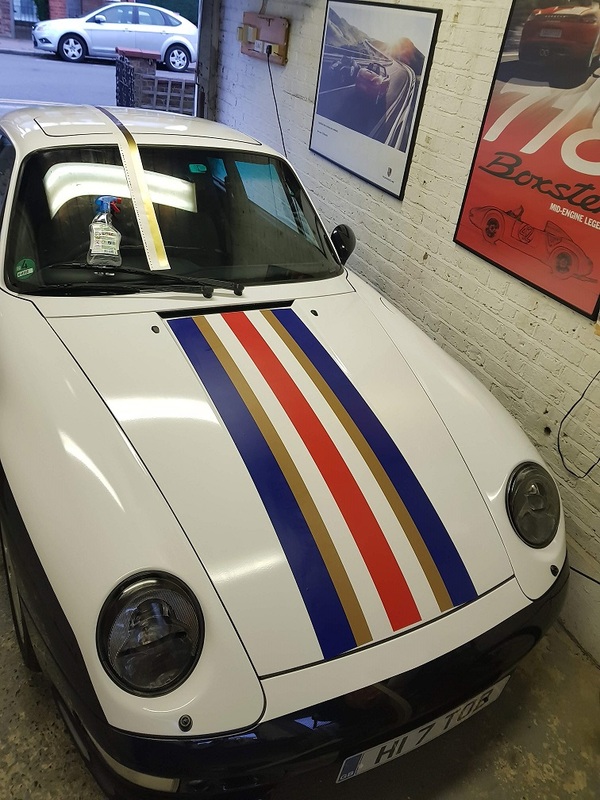 Currently I'm trying to work out where to put the stripes so it looks good and is easier (ish) to apply (ie missing door handles, washer jets, etc). This bit will be critical and will probably take me most of this weekend! It’s a yes from me. Keep it coming! That is going to look fantastic when finished. ........Waits with great interest......it looks fantastic so far.....you've given me ideas !! 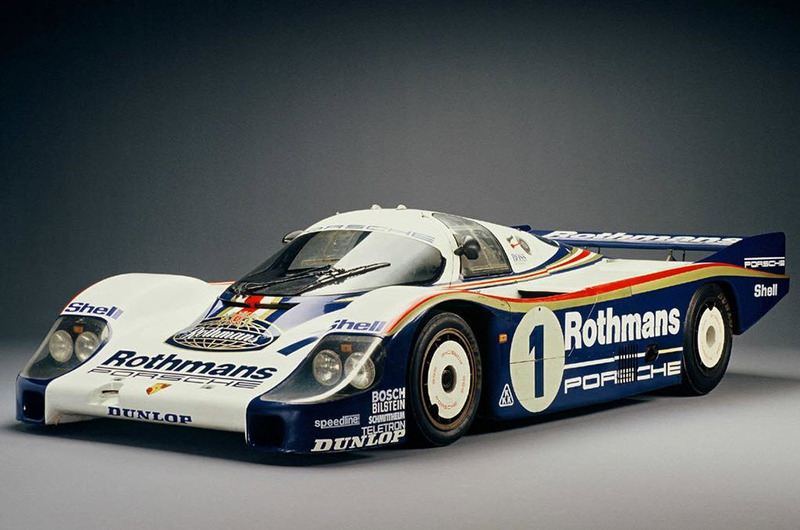 Will keep a look out for it in a few weeks at Le Mans. That is going to look brilliant. I love that colour scheme.